Versatility is one of the key ingredients to success and nowhere is this as important as in the demanding world of marketing and sales. Having a great product isn’t enough – you have to know how to advertise your business, distinguish yourself from your competitors and stand out from the pack. And once you’ve done so, that’s only the beginning of the race. You’ll spend most of your time at the top strategizing on how to make sure you preserve your winning edge and that means tracking your clientele and adapting to the new market trends in your business. On one hand, it’s important to stay focused on your goals and on the other, it’s critical to keep your eyes open and constantly think of new ways to please your customers and keep them excited about your business. That’s why the default technology we offer for our Visual QR Codes is the URL shortening technology – so you can keep up the pace in this ever changing, dynamic reality. 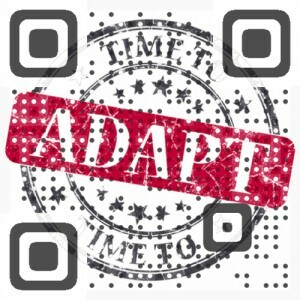 1) The ability to change the destination of your QR Code at any given time. You can even change your QR Code type. How can this be used to boost your business, you ask? Easy – change your QR Code’s destination every once in a while and use this as a reason to resend your QR Code to your customers every time it’s updated. Your QR Code gets a lot more exposure and your customers’ interest will be piqued when they find out that every time they scan it, they’ll get somewhere new and exciting. 2) Analytics! Monitoring your QR Code’s success is a crucial part managing a QR Code campaign. This way if you see that your code isn’t generating enough scans, you can try changing its location or create a new one with a more clear call-to-action. So enjoy the URL shortening technology and get your versatile codes out there! my view consider it from so many vsrious angles.